New technology has allowed companies to expand and to make money in ways that would not have been possible before. Unfortunately, 24-hour Internet access, the proliferation of smartphones and electronic banking have also given rise to a new type of crime: cyber attacks. Cyber attacks occur when an unauthorized person accesses a computer system and steals information or causes problems. While preventing an online security breach may seem like a problem for a company’s IT department, today's CFOs should care about cybersecurity and must become involved in protecting their companies from any online security threats. Below are three reasons why preventing an online security breach has become a responsibility of the CFO. The number of cyber attacks related to stealing customers’ personal information and financial data is on the rise. Last Christmas, Target made news when hackers stole more than 100 million customer credit card numbers stored in Target’s computer databases. Close to a year later, Target has spent approximately $148 million to correct the breach, provide affected customers with free credit screening, and update its security. As a result, the megastore expects a large drop in profits as it approaches the next holiday season and customers may be loathe to shop there this year. Target’s case is not an isolated incident; in general, organizations experience 122 successful cyber attacks per week, and many of these may be related to stealing customers’ financial data and/or personal information. 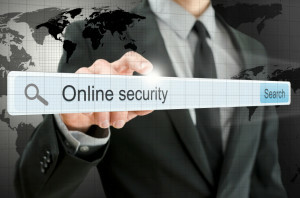 Online security risks represent a large potential loss for both consumers and businesses. For this reason, if a business doesn’t have adequate security measures in place, investors may become nervous about backing the business. Investors don’t want to put money into a business that may experience huge losses or close altogether because of a security breach. Thus, the CFO has a vested interest in cybersecurity. Greater security combined with cybersecurity insurance and a clean up plan should a breach occur puts investors’ minds at ease. In order to protect a business from cyber attacks and potential losses resulting from such attacks, security policies must be followed across the company and put into place by the leadership team: the CEO, CFO, etc. The CFO has a particularly important role to play because he or she is responsible for making financial decisions involving the purchase of software. When making these decisions, the CFO must take online security into account so that he or she can accurately determine whether decisions are in the company’s long-term financial interests. Cybersecurity is not just an IT problem; it is a company-wide concern. For CFOs, cybersecurity is of particular interest because breaches can wreak havoc on a company’s finances. CFOs should work closely with the IT department to understand security risks and take those risks into account when making financial decisions on the company’s behalf.